At the Mind Centre for Mental Health and Wellbeing – Williamstown, clients are engaging with their mental demons by battling dragons and other mythical creatures. 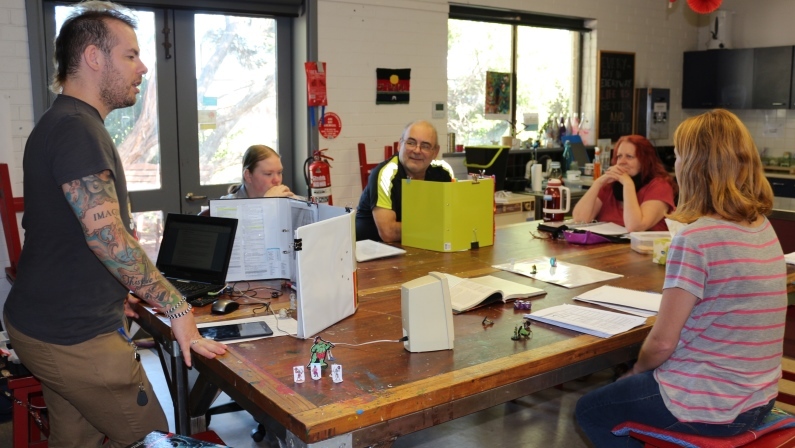 This support group plays Dungeons & Dragons – a fantasy role-playing board game that originated in the ‘70s. In this game, players create their own characters and together they embark on imaginary adventures within a fantasy setting. Given it is universally recognised as the original role-playing game, it’s no surprise that Dungeons & Dragons is popular with Mind clients. So much so that there’s a waitlist just to play! One of the reasons it resonates with participants is the fact they can step out of their own skin and dive into a mythical land of magic in the company of friends. The group has even incorporated mental ill-health symptoms into the game to help clients on their own recovery journeys. This particular format attributed a different form of ‘madness’ to each player, which would randomly strike within the game. 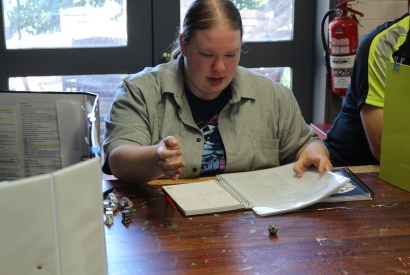 Linda, another participant of the ‘madness’ campaign, also recognised the benefits of the Dungeons & Dragons adaptation as part of her own personal journey. “We all bring elements of ‘madness’ to the proverbial table. We are all on a journey of recovery, but we need to accept that our mental ill-health is part of our personalities and in that acceptance, we can find freedom,” she says. You can learn more about Mind group recreation and leisure activities in your area by calling Mind Connect on 1300 286 463.